“Vanderpump Rules” star Scheana Marie is opening up about the end of her relationship with Rob Valletta. After protecting him for several months and trying to maintain a friendship, the 32-year-old has revealed that they are no longer friends. Scheana’s storyline for this season of “VP” revolved around her newfound love with ex-boyfriend Rob Valletta. During the length of each show, Marie spent her time bragging about how great of a boyfriend Rob was even after it was said that he cheated on her with a waitress at another restaurant. 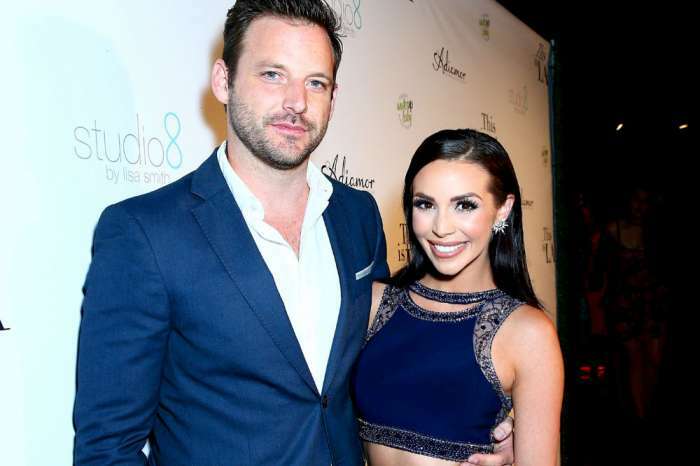 The rumor is what Scheana said led to the end of her and Rob’s courtship. Viewers also got to see that Scheana was more into him than he was into her. In recent episodes, Jax Taylor tells the circle of friends that Rob doesn’t love her after a very eye-opening conversation that he had with the reality newcomer. Scheana has tried to control the talk about Rob’s selfish ways by insisting that he’s the perfect faithful partner who also plans his future with her. Although they split before the season premiered, Scheana hasn’t had one bad thing to say about her ex — until now. The SURver and Valletta were friends with benefits for a while until they just decided to be friends. Now, they have no connection at all. Scheana Marie visited Spencer Pratt and Heidi Montag’s podcast where she explained why she was disappointed. “Everything that transpired after [the accusation that Rob kissed another girl] that ultimately led to us breaking up was just really frustrating because after everything my ex-husband and I went through on the show, we didn’t divorce because of the show. It was because of so many other things happening and for Rob to just kind of throw in the towel so soon because there was a rumor that he kissed someone, it was quite disappointing,” she confessed. The reality star even admitted that Rob was all about Rob. Scheana even said that her breakup with Valletta was harder than her actual divorce from Mike Shay. Are you surprised that everything wasn’t bubblegum and rainbows in Rob and Scheana’s relationship? Evelyn Lozada Announces She Is Single Using Sizzling Bikini Photos -- Where Are French Montana And Sanaa Lathan?